Enjoy fitness motivation like never before when you access all your favorite benefits of the Hybrid Trainer. 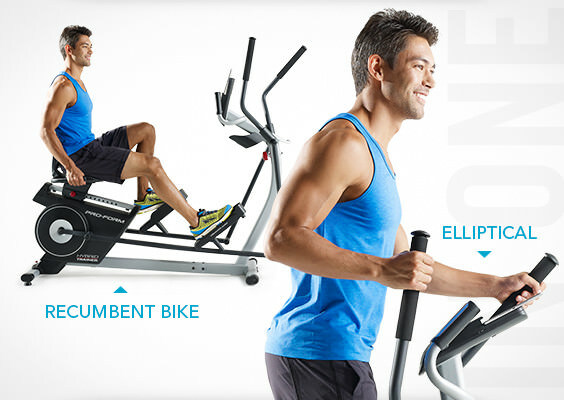 Engage your core, upper body, and lower body with the elliptical. Then tap into a great cardio workout with the recumbent bike. And now, for the first time ever, iFit® technology is available on the Hybrid Trainer allowing you to select a route anywhere in the world—and then go. Powered by Google Maps™, you can work out somewhere new every day (subscription required). Plus, you can explore unlimited iFit® workouts featuring top TV trainers like Chris and Heidi Powell. No matter your goal, you’ll find programs created just for you. The tablet holder keeps all your favorite fitness tools close by and secure. 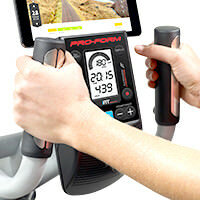 The ProForm® Hybrid Trainer is the ultimate in fitness technology. 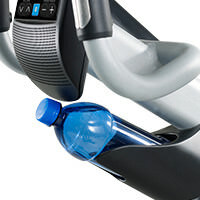 In two quick steps the Hybrid Trainer evolves from an elliptical to a recumbent bike. Simply adjust the pedals and console. And with the latest in fitness technology at your fingertips, you can enjoy daily motivation like never before with workouts designed to get you started and keep you motivated. It’s time to get started on your fitness transformation. When you purchase an iFit® membership, you get VIP access to the best in fitness technology. Top features include Google Maps™ workouts that take you anywhere in the world. Whether you choose a route from our vast collection of pre-drawn trails or draw your own course, iFit® sends the route straight to your Hybrid Trainer for a unique, fun, and completely personalized experience. iFit® also sends you a brand new workout every day, designed by certified personal trainers, making it so you’ll never get bored. And with automatic tracking, you can keep a close eye on your fitness evolution. Requires membership, sold separately. The Bluetooth® word mark and logos are registered trademarks owned by Bluetooth SIG, Inc. and any use of such marks by ICON Health & Fitness is under license. Other trademarks and trade names are those of their respective owners. Making time for world travel is a challenge—but it doesn’t have to be impossible. 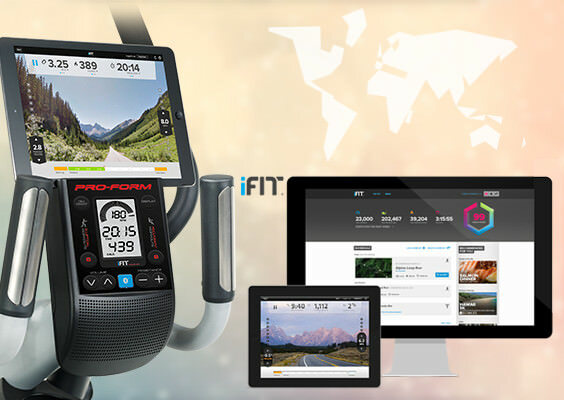 Visit Paris, hike the Swiss Alps, or jog the Chilean coast with your iFit® Enabled* elliptical powered by Google Maps™. You can also customize your workouts with unlimited programs designed by certified personal trainers. And our ever-growing workout library offers programs that progress with you from first-time user to daily enthusiast. Measure your progress for faster results. 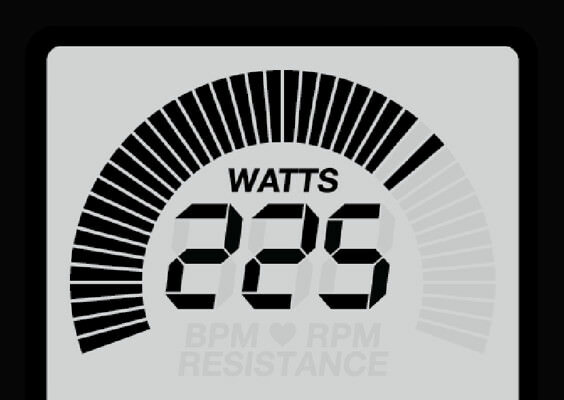 This display tracks your speed, time, distance, and calories burned so you can monitor your training stats. Watch your favorite stats on the Priority Display. And the adjustable console angle means no matter your height, you’ll be able to view your workout info. Once you create your raving workout playlist, just plug your iPod®* or MP3 player into our built-in sound system. Built with two 2-inch speakers, you can turn up the tunes and turn up the tempo. Experts have learned that we actually increase or decrease our pace to match the tempo of our tunes. Music has also been proven to lower perceived exertion. That’s great news. Get a total-body, low-impact workout with upper-body workout arms. Elliptical training engages your entire body and tones more muscle for faster results. 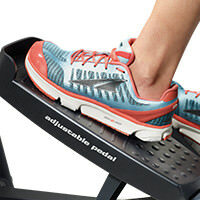 Enjoy full strides with this generous 15-inch stride length. Moving this machine out of the way is fast and easy with the front mounted wheels. 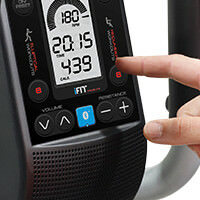 Maximize your workout with the ultimate tool: heart rate training. 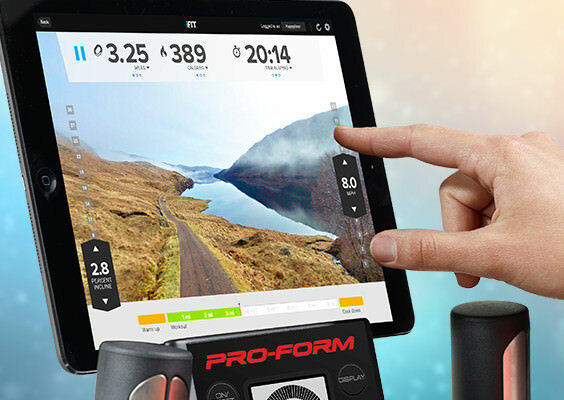 A built-in, dual-grip monitor keeps you in your target zone for better, faster results.